This week, state legislative sessions are coming to a close, and state legislators from around the country have gathered in Los Angeles for the National Conference of State Legislatures annual summit. 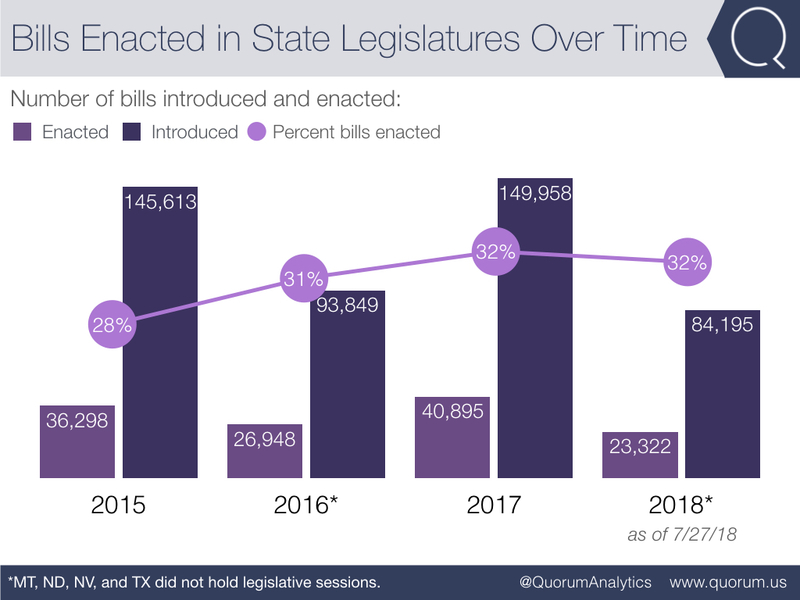 Using Quorum States, we analyzed trends in legislation and social media activity across the 2018 state legislative sessions. Download the full 2018 Trends in State Legislatures Report. Health, education, and economics were the top issues with policies enacted in 2018 sessions. 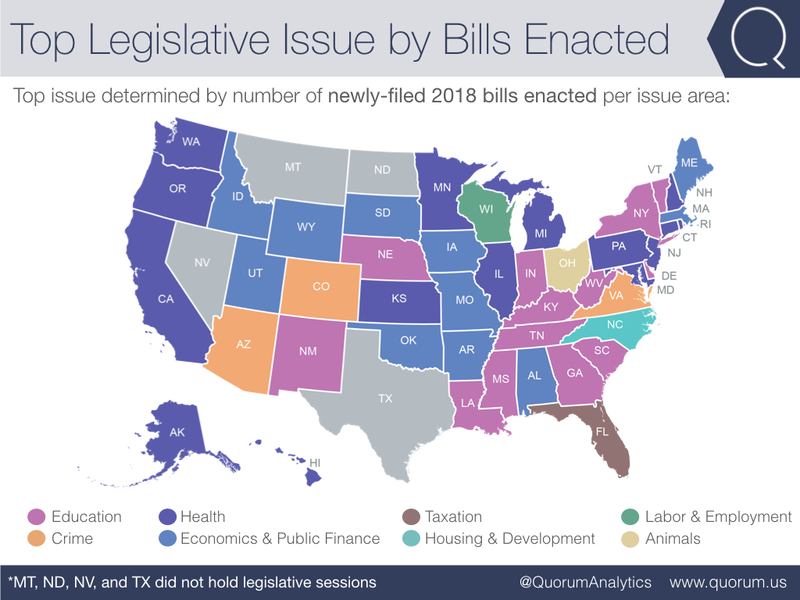 32 percent of bills introduced in 2018 were enacted, which is consistent with the ratio observed in 2017. 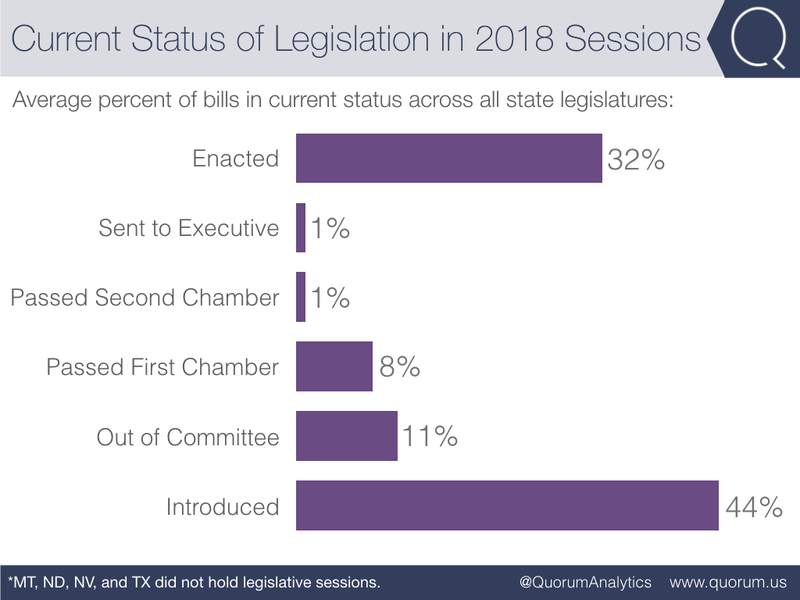 While 32 percent of bills were enacted, 44 percent of legislation introduced in 2018 never progressed. For more legislative and social media trends, download the full report.